Darby Sampson is a young wife and mother who is already an integral part of the agricultural community in Jackson County. Along with her husband, Clint, and their two sons (ages two and four), they farm in Melrose. Gardening and sewing are her hobbies. Darby has been the Ag in the Classroom Coordinator for three years and a member of Jackson County Farm Bureau for seven years. She is also active in the Young Farmer and Agriculturist program. Outside of Farm Bureau, Clint and Darby work with the Jackson County Fair Livestock Project and are involved in the open class beef show at the Wisconsin State Fair. 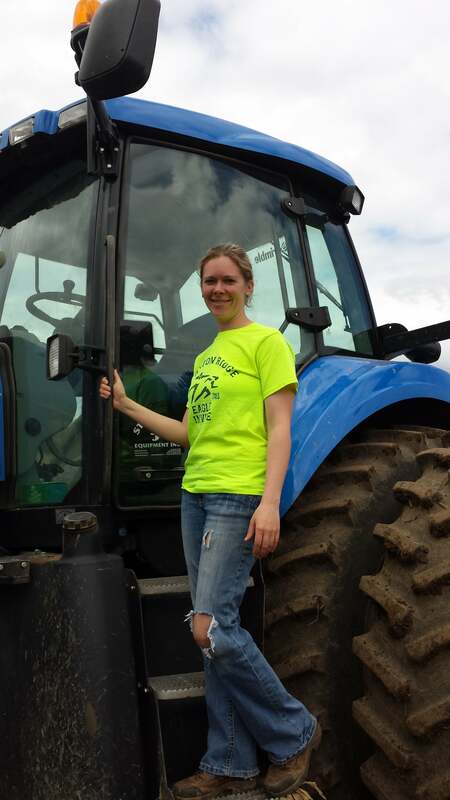 Darby believes that the role of women in agriculture is being more accepted. She sees women as truly full partners in family farms. Darby says that their love of farming and gardening carries over to their free time. When they have time to travel, it’s usually for an auction or a farm show.